Founded in 1913, the New Statesman has long been identified with the Fabian Right of the Labour Party. In the 1930’s under the influence of the Webbs, it became an uncritical supporter of Stalinist Russia, which it saw as socialist. Censorship and the New Statesman have long gone together. Wikipedia describes how, in 1938 under its longest serving editor, Kingsley Martin, it refused to publish George Orwell's dispatches from Barcelona during the Spanish civil war because they criticised the communists for suppressing the anarchists and the left-wing Workers' Party of Marxist Unification (POUM). These later became famous in Orwell’s book Homage to Catalonia. 'It is an unfortunate fact,' Martin wrote to Orwell, 'that any hostile criticism of the present Russian regime is liable to be taken as propaganda against socialism'. Martin also refused to allow any of the magazine's writers to review Leon Trotsky's anti-Stalinist book The Revolution Betrayed. Unfortunately its progressive politics, free thinking and humbug have not prevented it from taking down from its web site a moving account of life in Aida refugee camp, which is just outside Bethlehem. 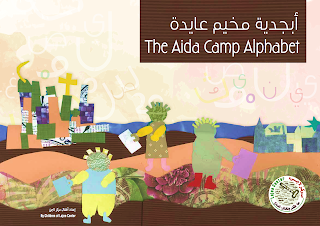 Aida is surrounded by Israel’s Apartheid Wall, which has resulted in the confiscation of much of its best land. The Wall is a hideous and ugly structure that is taller than the Berlin Wall which the New Statesman regularly assailed. The New Statesman was the traditional voice of the ‘enlightened’ wing of British imperialism and it is no accident that Sydney Webb, one of its founders, later became Colonial Secretary as Lord Passfield in the 1929-31 Ramsey MacDonald government. Whereas the Tories were open about the British Empire being the basis of British power in the world, Labour’s imperialists spoke the language of trusteeship, bringing civilisation to the backwards people, holding the land in trust for them. Unlike the Labour Left, the New Statesman steered clear of any whiff of anti-colonialism. It is, therefore, unsurprising that the New Statesman was for most of its history the strongest supporter of the Israeli state. Israel could do no wrong under a succession of fiercely pro-Zionist editors. Only in 1982 under Bruce Page and his successor, in the wake of Israel’s invasion of Lebanon, did the New Statesman wake up to the existence of the Palestinians and the transformation of Israel from an oasis of socialism in the Middle East to a war-mongering and expansionist state that was the close ally of US imperialism. The article the New Statesman editors removed was by Salah Ajarma, a well known Palestinian activist and founder of the Lajee Cultural Centre. 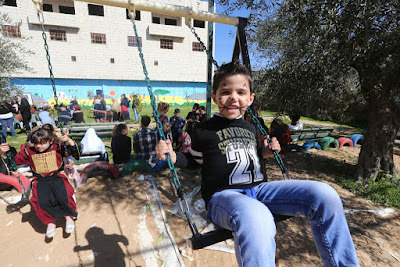 The article is a factual account of conditions in the refugee camp and the difficulty Palestinian youth face growing up in such an environment. Of course it is understandable that the Zionist lobby would take exception to such an article since they deny that there is any occupation. Although I haven’t read the Zionist objections to the article, I suspect it revolves around ‘anti-Semitism’ which these days is another name for the truth. As I wrote in an earlier post, The New Statesman & the Perpetuation of the Myth of Labour ‘anti-Semitism’ Carrying on a tradition – The New Statesman, Zionism and Imperialism the New Statesman has given full support to the ‘anti-Semitism’ smear campaign in the Labour Party. As the Palestine Solidarity Campaign statement below states, having commissioned and put Salah Ajarma’s article up on its web site, as part of a partnership agreement between the New Statesman and PSC, the NS then took the article down again after objections by two Zionist blogs. What is particularly damning is that instead of explaining their reasons, the New Statesman has refused to even communicate with PSC or Salah. The behaviour of the New Statesman is not an isolated example of political cowardice and concessions to Zionist settler colonialism. In recent years the Guardian has undergone exactly the same metamorphosis such that it has been the leading campaigner in support of the ‘anti-Semitism’ smear campaign. The liberal left is reverting to type as the Western ruling classes firm up their support for Israel. The election of Donald Trump has been greeted with utter delight by Israel’s far-Right. See for example Israeli Right hails Trump: 'The era of a Palestinian state is over' . Our response to the New Statesman should be unequivocal. We should support a boycott of this miserable paper that claims the affections of the Left. 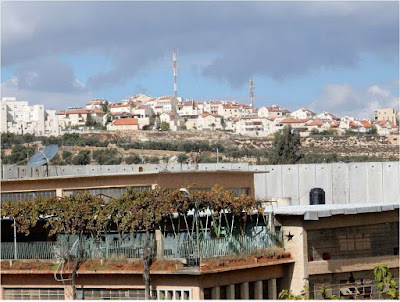 The red sloping roofs and lack of black water tanks identify the hilltop town as an Israeli settlement. It overlooks the Aida Refugee Camp, separated from it by the Wall. 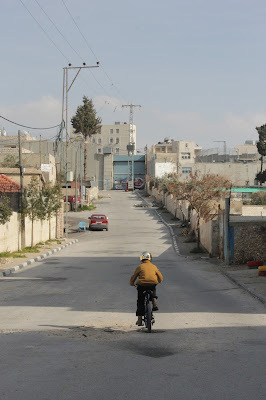 Salah's article describes the experiences of young Palestinian refugees in Aida camp and talks about how settlements impact his life and the lives of people in his community. New Statesman editors approved and published the article. 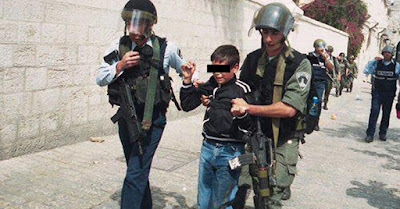 The New Statesman's actions are political censorship of a Palestinian human rights campaigner. We cannot stand by and let this happen. Take action now: Write to the New Statesman. 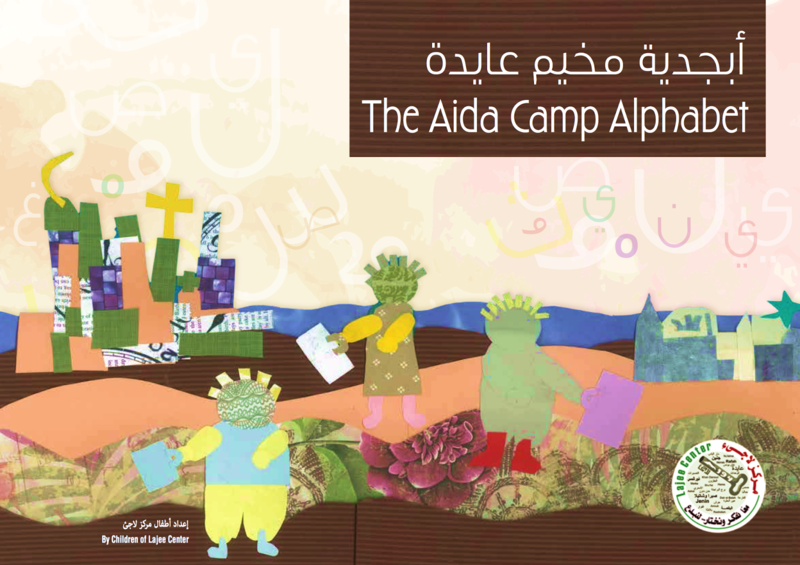 By Salah Ajarma, the cofounder and director of Lajee Cultural Centre in Aida Refugee camp. 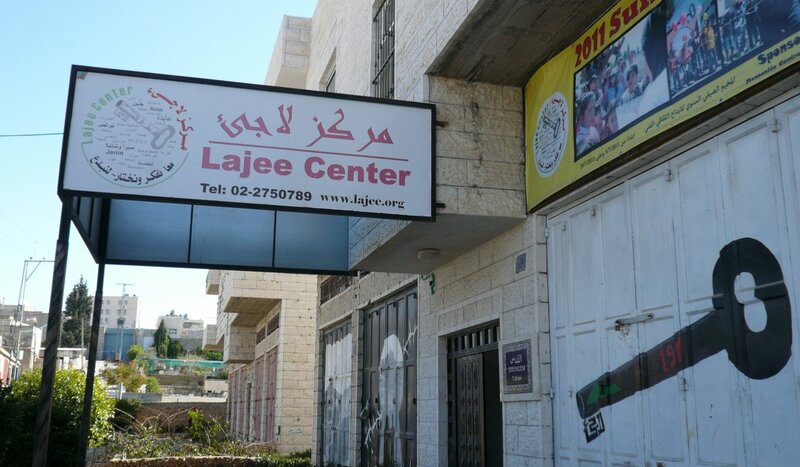 In April 2000, me and a number of friends established the Lajee Centre, a community-based cultural centre for young refugees living in the camp. Through it we have sought to provide opportunities for the cultural, educational and social development of our young people, despite the violent military occupation under which we live. As an occupied refugee people, we are aware of the duty to educate our youth about their history and their rights. Only in this way will our struggle for freedom be carried to the next generation. In 2002, Israel’s government began the construction of its illegal wall. Its consequences are now perhaps well known – land confiscation, ghettoization, and an accelerated ethnic cleansing of Palestinians. In Aida the wall has been particularly obtrusive with its towering concrete blocks built directly opposite the Centre. The young people I work with have only ever known a life surrounded by this wall and under the constant surveillance of its ominous watchtowers. Before its construction, families and children would spend time in nature, in the olive groves that neighboured the camp. As one of the few green spaces available to us, I would often go there for picnics with my family when the weather was warm. This has now been shut off from us, creating a menacing, stifling atmosphere that we cannot escape. On the hill opposite, Israel’s illegal settlement of Gilo continues expanding onto land confiscated by the wall. In October 2015, Aida Camp buried one of its sons, Abd al-Rahman Ubeidallah, who was shot in the chest by an Israeli sniper. He was 13 years old and killed on his way home from school. His peers, almost without exception, have all been arrested, beaten or fired upon. The head of Lajee’s film unit, Mohammad, was shot in the eye with a rubber-coated steel bullet whilst filming Israeli violations in the camp in 2013. 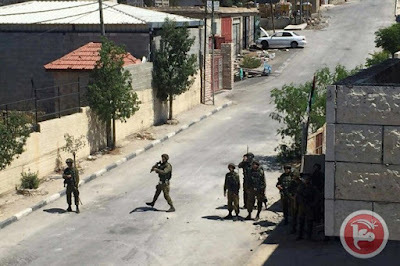 We are routinely broken into by Israeli soldiers and border police who invade the camp, firing teargas indiscriminately and threatening our families over loudspeakers. These intolerable conditions are particularly difficult for our young people who, in the midst of such cruelty, maintain an extraordinary optimism. It is difficult to understand how children raised in such an awful situation can remain so full of gentleness and hope. Lajee is always alive with laughter, dancing and singing and our youth have transformed this dreadful situation into a boundless love for our people and an insistent demand for freedom. Their resilience never ceases to inspire me, and it is for their future, and the future of my two young daughters, that I continue my work. These young people deserve to live with dignity and peace. 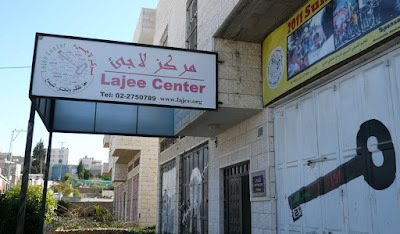 Our work in Lajee has found support from around the world. From the UK there has been a steady stream of delegations – teachers, trade unionists, students, doctors, politicians and academics – who have visited our Centre. Early this year I came to the UK with our dabke troupe, performing traditional Palestinian dance to packed out venues up and down the country. When Celtic supporters raised funds for Palestine in anticipation of a UEFA fine, it was to our football club that they donated over £79,000. Our experience of the generosity of the British people has left us in little doubt as to their values and their willingness to stand in solidarity with our just case. The same cannot be said of the UK Government. As Palestinians, we know all too well the dishonourable history of Britain in our region, a legacy that has yet to be resolved. The UK Government, like many others, continues to support the discredited ‘peace process’ whilst taking very little meaningful action. Nowhere is this more evident than in the case of Israel’s continued construction of colonial settlements. The UK regards settlements as illegal and a barrier to peace, whilst nevertheless continuing to trade with them. 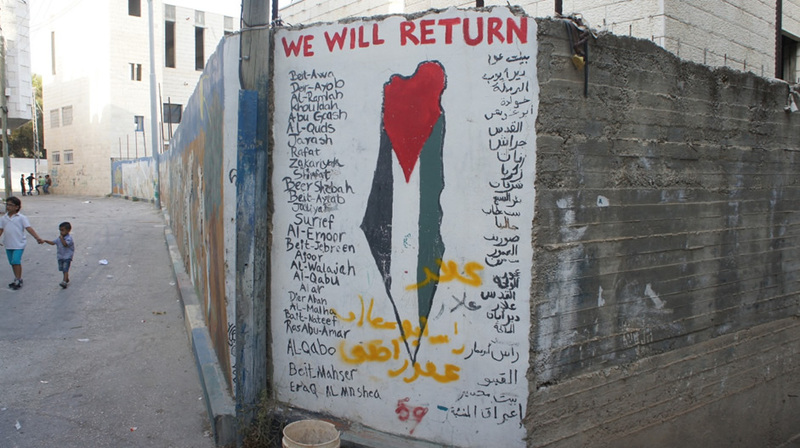 The contradiction between their stated aims, on the one hand, and the on-going financial relationship between UK-based companies and charities, on the other, has led to the longstanding perception amongst Palestinians that the UK Government is not serious about its desire for peace. What other explanation could there be for this inconsistency? For us, talk of peace is contradicted by our daily experience of an oppression that receives significant material and financial support from the ‘international community’. 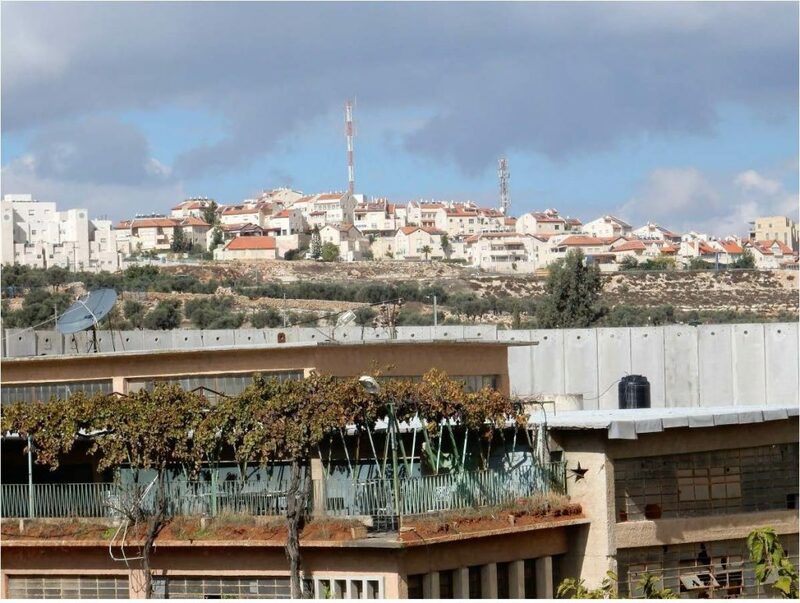 That the collective efforts of the EU, the US and the UN have failed to even freeze the construction of settlements, never mind begin to dismantle them, feels indicative to Palestinians of the regard with which our rights are held. 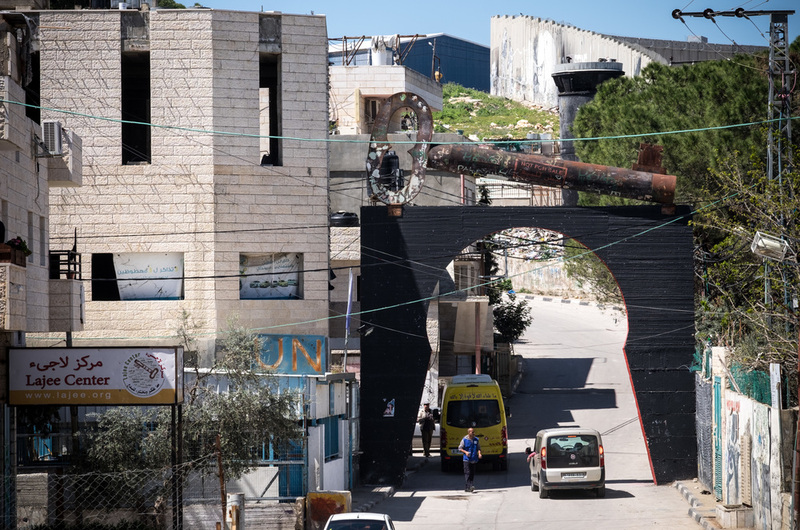 Settlement construction has become a touchstone issue because it reflects the reluctance of the international community to take even the most minimal action to check the relentless march of Israeli colonisation. We need a different strategy, one in which the international community takes measures to pressure Israel into meeting its obligations under international law. Ending settlement trade is the place to start as there is already broad international agreement on their illegality. This international consensus needs to be actualised by halting the building of settlements and dismantling those already constructed. 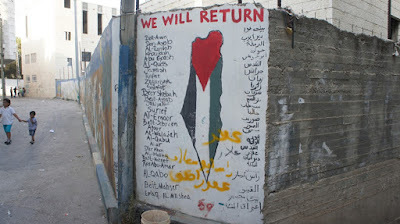 This would lay the foundation for a just peace in which the rights of the Palestinian people to national self-determination and to return to their homes can be realised. For us in Aida, on the frontline of Israel’s settlement regime, the situation is urgent. Ending trade with settlements would deny Israel the means of maintaining their occupation and give us some relief from its immediate, choking effects. This would provide our children and us with the first glimmer of hope for a future of justice, dignity and peace. 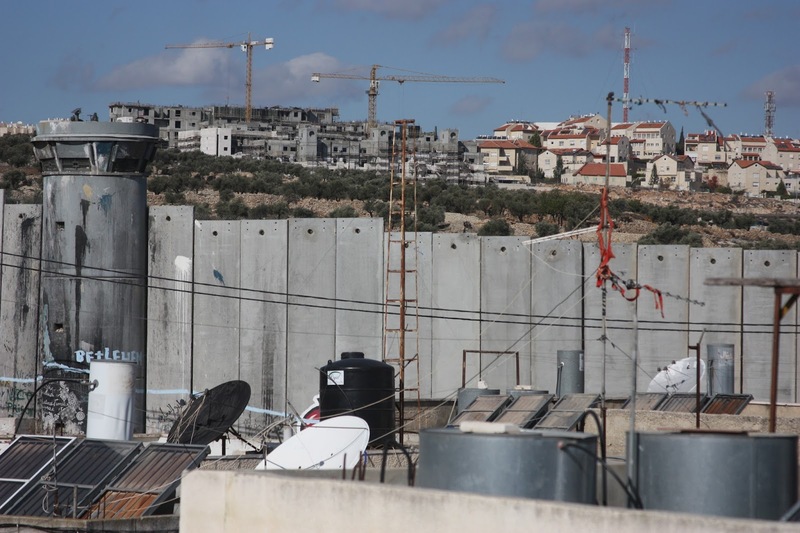 International Court of Justice: Legal Consequences of the Construction of a Wall in the Occupied Palestinian Territory.